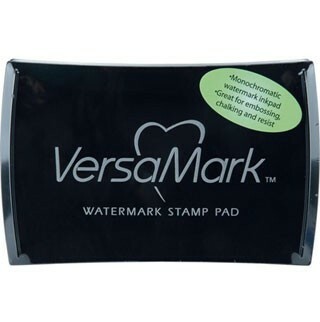 This new ink allows you to create a watermark image, tone on tone image or a resist all in one pad. We especially love the tone on tone quality. Have you ever tried to stamp a card and been frustrated because you don't have the right color ink? With this pad you'll always be able to stamp one shade darker than your paper and it's easy to create neat backgrounds on your cards.